Currently viewing the tag: "mumps and rubella (MMR) vaccination"
Time for me to weigh-in on this vaccine matter. As it turns out, politicians in California have proposed a bill to mandate vaccinations for all children. 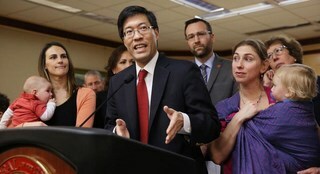 California Senate Bill 277, authored by Senator Richard Pan, would make vaccinations a requirement to enter school by removing current exemptions for religious or personal beliefs. 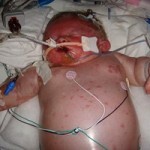 This following several measles outbreaks over the last few years, most notably the Disneyland outbreak this past winter. The proposed measure has parents outraged over civil rights, and coming out in droves to oppose the bill. The Disneyland outbreak sparked controversy earlier this year and lit up news and social media sites—everybody had an opinion. Pro-vaccination supporters, the most vocal and caustic of the groups, assert that parents who choose to not vaccinate their children are irresponsible, and they put everyone at risk with their decision. Pro-choice advocates believe it should be an individual choice, while anti-vaccination camps are terrified and angry over the many families that they believe have been damaged by vaccinations. It’s as big a controversy in health care as has ever been, and each side is fighting vehemently to have their view the victor in this struggle over public health. The plan is early in the legislative process, but it has high-level support. Senate Leader Kevin de Leon, a Los Angeles Democrat, has signed on as a co-author. 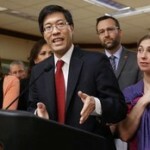 If it becomes law, California would join Mississippi and West Virginia as the only states with such strict vaccine requirements. From December 28 to April 3, 2015, 147 people from seven states were reported to have measles and are considered to be part of a large outbreak linked to Disneyland Park in Anaheim, California. The outbreak likely started from a traveler who became infected overseas with measles, then visited the amusement park while infectious. However, no source has been identified. Analysis by CDC scientists shows that the measles virus type in this outbreak (B3) is identical to the virus type that caused the large measles outbreak in the Philippines in 2014 . Authorities report that the majority of people who got measles were unvaccinated. 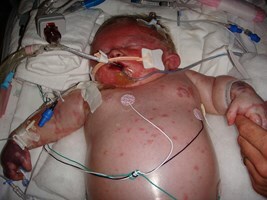 Measles is still common in many parts of the world including some countries in Europe, Asia, the Pacific, and Africa. Travelers with measles continue to bring the disease into the U.S. Measles can spread when it reaches a community in the U.S. where groups of people are unvaccinated. People opposed to the measles, mumps and rubella (MMR) vaccination believe that the inoculant can cause illness, like autism or Crohn’s disease. 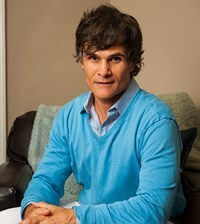 Dr Andrew Wakefield, a consultant gastroenterologist, drew national attention to a possible link between autism and the MMR method of vaccination in a study in 1998, but resigned from his post at the Royal Free and University College Medical School in North London after being told his research did not ‘fit in’ with the college’s strategy. The method in question is providing three live, yet attenuated, viruses in the vaccination. Attenuated means alive but altered, so that the virus is weakened. Now with the added Varicella virus, the causative agent in chicken pox, you’ve got four attenuated viruses in one MMRV shot. Because of the magnitude and potentiality for pathogenic reversion (becoming virulent or dangerous within the host), some parents are naturally freaked out about what could happen to their child following one of these inoculations. Pro-vaccination camps, particularly a number of pediatricians who say they see the horrors of these ‘childhood infections’ up close and personal, claim the fears are greatly blown out of proportion and are unwarranted. Further, they state correctly, that as the number of children going unvaccinated increases, the greater the risk of outbreak, and this puts us all at risk. I was approached on this topic often over the last decade, primarily from peers who were having babies and having heard the controversies on vaccination, were unsure as to what to do. 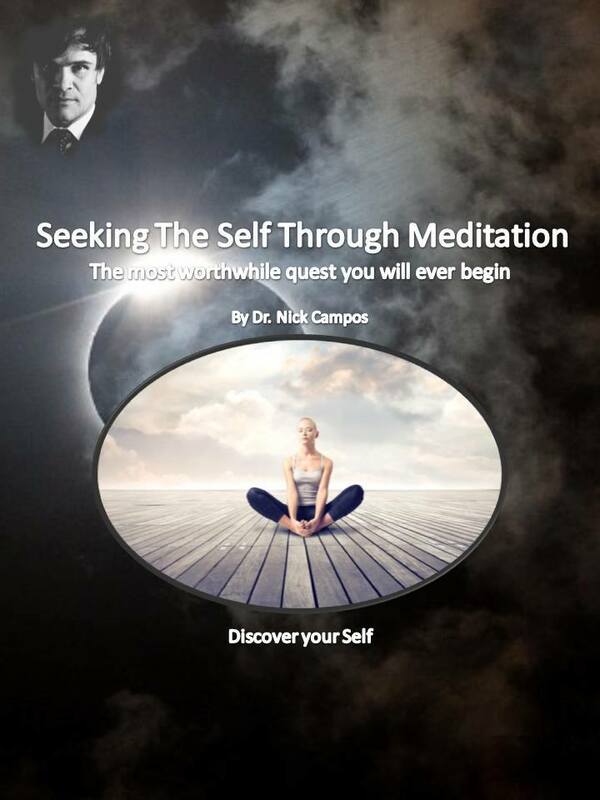 I disclosed my views in this podcast. While my views have not changed from the time of the recording, circumstances have, in a way I warned of, and that creates a very different environment—one that I would expect to stir the flame of this incendiary issue. As I pointed out in the podcast, I really believe this choice is best left to parents to decide. I think all parents should do their research. There is no denying the effectiveness of vaccines in curbing infectious diseases. The devastating illness that can result from virulent infections is nothing to play around with. 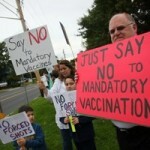 But, on the other hand, there is also no denying the small risk of complications from receiving a vaccination. Yes the probability of having an adverse event is small, but it’s enough that people can and have gotten ill from vaccinations. For families having to deal with the devastation of an adverse vaccination event, probabilities aren’t relevant—their child was hurt by something that, to them, in hindsight perhaps, was not entirely necessary. 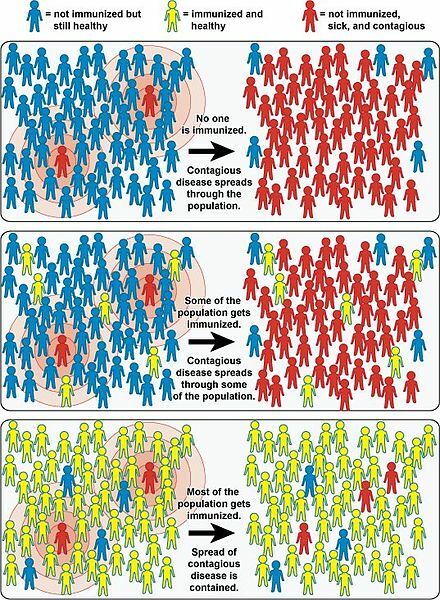 I also point out in the podcast the realities of herd immunity—the rationale for most people as to why vaccination is not absolutely vital for each individual—that it only applies when a certain percentage of the population has developed immunity, either through exposure or inoculation. 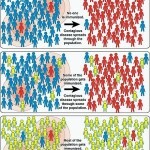 When enough of the population has developed immunity, those without are also protected due to the inability for the pathogen to gain a stronghold within the majority of individuals, sparing the entire community. This effect, however, diminishes as the population’s immunity decreases, usually through non-vaccination as the incidence of exposure will also be low do to the herd effect. We are in one of these periods now. Enough people have bypassed vaccinations for their children, and the herd effect is low enough that we should start seeing outbreaks. So the current events with regard to measles does not surprise me in the slightest. Keep this in mind, folks, because as your child remains unvaccinated, his or her risk actually goes up due to the diminishing herd effect. 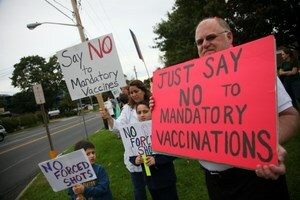 Does this mean I advocate mandatory vaccination? HELL NO! Nothing in my mind is more a violation of civil rights than forcing any type of treatment, medical or otherwise, upon us. Are epidemics real potentialities? Yes. It takes sensible-minded people to take responsibility on their own to prevent them from happening. That’s why I write these posts: To alert people to the full picture. Yes each inoculation is a risk—a small but real one. And if you are the unlucky family whose child suffers an adverse event…well I cannot think of anything worse. But you’ve got to carry out your due diligence and do the honest research—on both sides. That’s exactly what we did with my daughters, and I have to say that getting both sides really colored my perspective. You will see that many factors are necessary to consider: school conditions (which are very hard to predict or control in a big city, or anywhere for that matter), whether or not you will travel with your children, open borders and freedom of movement throughout the world (heck I was just in Peru—I got vaccinated, without question), many things that should have you weighing both sides. In the end, we vaccinated my daughters for what we considered the big ones—MMR (I don’t remember if we did chicken pox), DPT, polio, hepatitis—but never the flu. It was a personal decision. I do not believe it is the right decision for anyone else—you have got to figure that out on your own. As far as endangering others, well we endanger each other every time we get in a car; that’s a part of life. I don’t believe we must then force-feed medications/vaccinations down people’s throats because of it. Both side always exist together, and wisdom resides in the center. So I believe that discerning parents will start to inoculate again, especially as outbreaks and illness continue to come closer to home, as the Disneyland outbreak most certainly had. But until people make those decisions on their own: Get the government mandates the HELL off the ballots! No way could I support that. 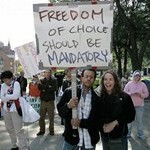 I am in deep admiration of the courageous and tenacious parents standing up for the fundamental right of choice. Step down from this duty and watch Brave New World unfold in front of your very eyes. Vaccinations are a tricky number due to the potentiality of disaster on either side of the extremes. But we must continue to question manufacturers, science and the law on this controversy, lest one side overpower the other and threaten the civil rights of us all.